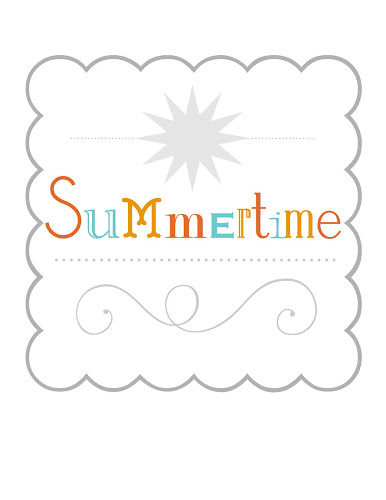 I know I just did a summertime printable a couple of weeks ago, but I wanted something summertime-ish for one of my memory boards I'm working on. I have a lot of red, white, and blue things for my July memory board, but I needed something more neutral for June and August. I'm going to print this out at about 50% of its original size and mount it on card stock (like I did with most of my quotes on this memory board), but you could print it as is and frame it, or I'm sure you could come up with some other creative way to use it. Love this print Brooke! Just pinned! Hey, Trish! Thanks so much! Love all your fabulous recipes! Have a wonderful day.